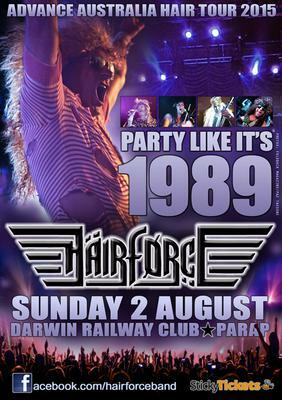 HairForce return to Darwin to PARTY LIKE IT'S 1989! 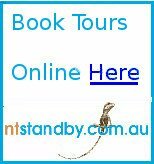 Sunday 2 August - Darwin Railway Sports and Social Club, Parap. 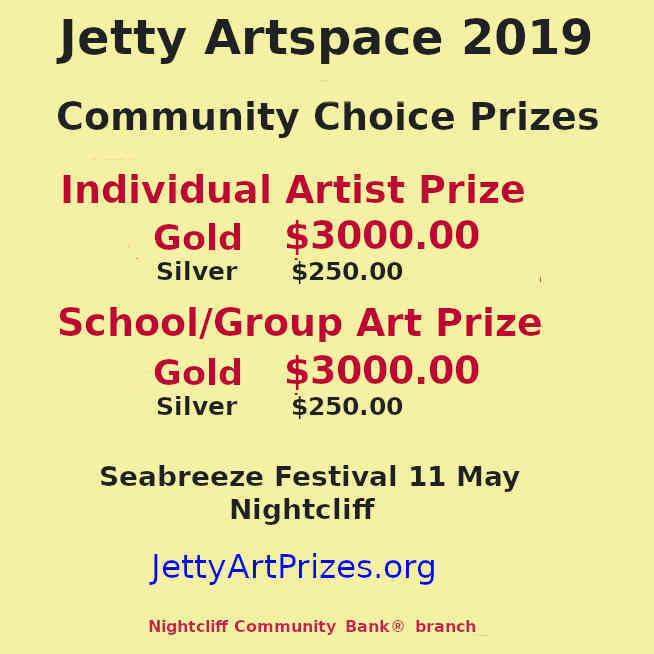 Door 7:00pm, with special guest support act. Fresh from a triumphant May show at Browns Mart, Euro super-retro rockers HairForce are on their way back to Darwin as part of their 'Advance Australia Hair' tour. Like a time capsule from the 80s, HairForce play songs in the style of the rockin' classics by Bon Jovi, Guns 'N' Roses, Motley Crue, Poison, Kiss, Van Halen and more. Add to that a double-kickdrum helping of inter-band rivalry and you have a piss-funny rock and roll show. From the co-creators of homegrown funk stars Barry Brown and the GetDown, HairForce have been described as “the ABBA of hair metal”... a spandex-clad reminder of all that was good - and so very bad - about the hair metal decade. More info at the HairForce Facebook page!